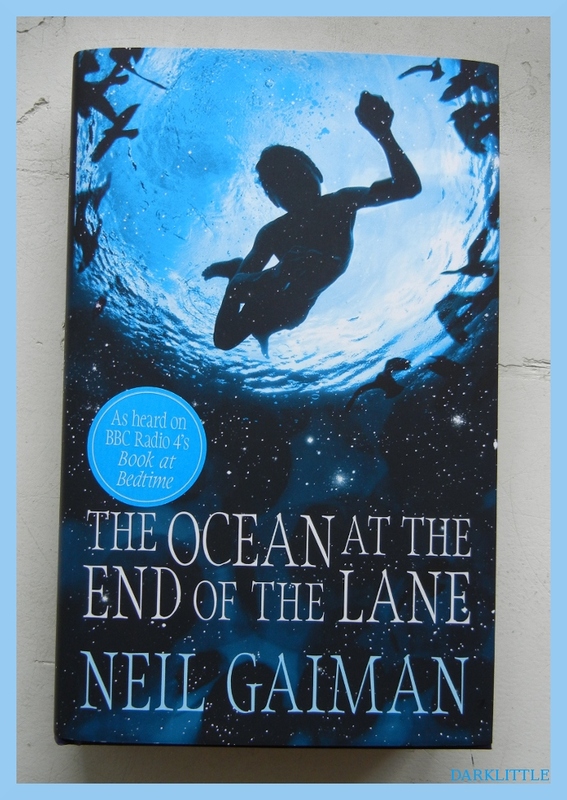 I finally got around to reading the pre-release copy of Neil Gaiman‘s The Ocean at the End of the Lane that I won from The Independent. The Ocean at the End of the Lane is set in a rural town, probably in the 20th century. Although there are lots of scenes that take place during daytime, there is a certain darkness that I felt spanning these scenes. This gave the setting quite a creepy atmosphere. Sometimes everything about the narrator’s house seemed so shabby and rotten. I think this was brilliant. The main characters we meet in Ocean are the narrator (sometimes in the form of a grown up man, more often as a little boy) and his family, the narrator’s friend Lettie and her family and then there is a woman called Ursula Monkton. All characters are very believable, some friendly, some scary, some a little blurry. The blurriness of these characters might be because they are of lesser importance to the story. But as we are experiencing the story through the little boy, I think his mother shouldn’t be that blurry even though she only plays a minor role. The story itself is interesting and I’m still not that sure what to think of it. I don’t know if Mr. Gaiman wants it to be interpreted or not. I’m not sure if it should simply stay a fantastic tale, or if there is supposed to be more depth to it. If there is, I think it’s clever. (I can’t tell much more without putting spoilers in here). If it’s just a tale, I think it’s a nice tale but it’s not very special at all. It reads quickly, it’s NOT for children, of that I’m sure, but it didn’t surprise me. The Ocean at the End of the Lane a very dark and scary tale of a boy who is unfortunate enough to be involved in something he doesn’t understand and fortunate enough to find good friends.